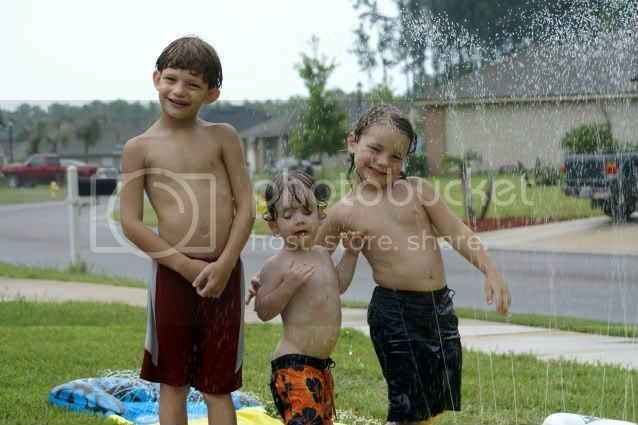 I tell ya, getting a pic of all three boys at one time (and all looking/smilng) is tough!! You gotta love a slip and slide to get them nice and tired out!!! Man!! You have cute kids! Sooo cute! Look at those little buns peeking out!